Throwing it back to a couple weeks ago to the BEST vacation Michael and I ever had! How I miss that place so much already! It was really fun being able to dress up every night while we were on vacation. 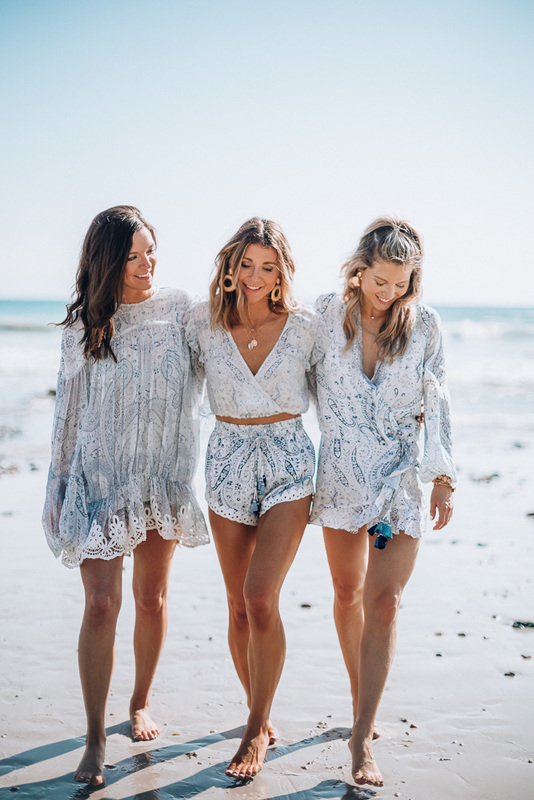 A lot of the times we are with the kids and are really casual for the evenings or even stay in our swimsuits and coverups all day. And while we were on vacation I got many questions on my beach vacation outfits and what I wore. I thought I would make it easy to just do a few roundup posts on what I wore, what I brought with me, and how everything fit. If you missed the first post, make sure to visit here or more about the resort here. If you have any questions, please do not hesitate to ask, and I hope you enjoy all my beach vacation outfits! A floral print on vacation is a MUST. I love colorful prints for warm weather vacations. They are my go to. They are a statement in itself so you don’t have to worry about much else! A good earring and embellished (comfortable) sandal or wedge. A flowy maxi dress is another must-have for me. Flowy maxi dresses and full skirts have great movement and are very travel and photo friendly. I love the high low style on this Rococo Sand Dress. Their resort wear is absolutely stunning. More favorite maxi dress styles below. 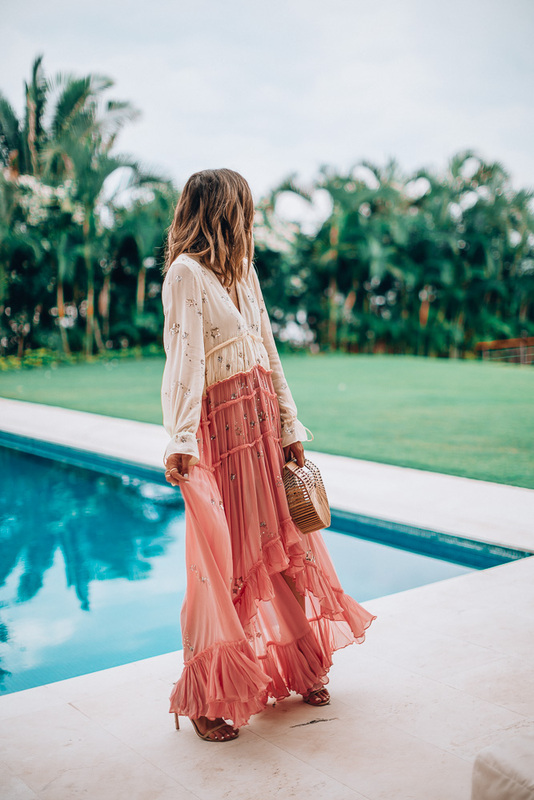 If you’re looking to shop for some new long maxi dresses, these beach dresses below are similar and would look fantastic in a tropical travel setting as well as back home. Like I mentioned above- I think a print for vacation is a no brainer. I love the soft blue hues in this Rococo Sand print – and you can see it comes in so many different styles. 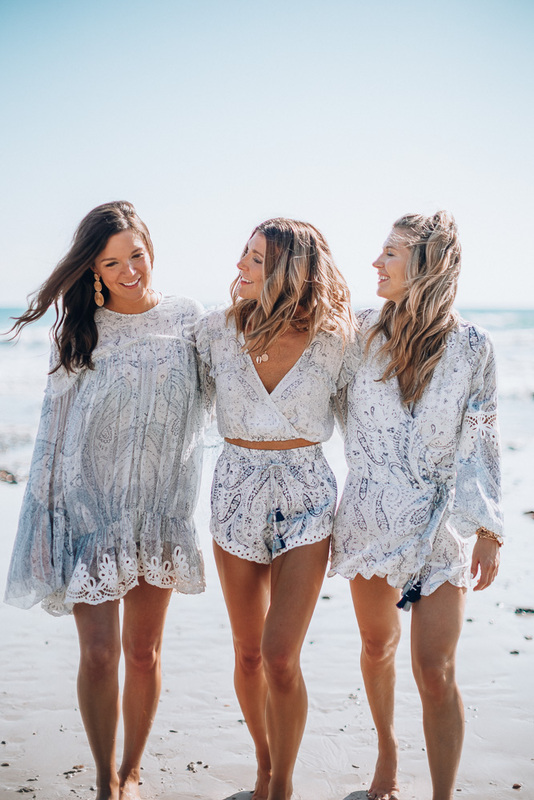 Sharing a few other favorite prints below that are perfect for you next beach vacation or spring break! A statement dress! Make a statement with embellishments! I love the mix of lace and sequins on this dress. It also comes in a shorter dress version that is darling! If you gals have any questions on any of my styles or outfits worn, feel free to comment below! I love this dress! And you look so beautiful in it! I am considering ordering it, how did you find it fit? And were you able to wear a strapless bra with it?